We don’t advertise very much and often people find us as a last resort when they want digital maps or printed maps for posters, books, advertisements and other tasks. There is a little information on our website about Digital Maps, but because we do lots of custom work, it’s not easy to describe products as such. If you want to print or display anything to do with New Zealand maps give us a call. In additional to the more complex products we supply to companies such as Wises and the NZ Automobile Association to name the biggies, we do lots of work with digital and print maps. Recent jobs have included maps for use on print advertisements, large PDF maps which will be used for a service company offering services to 2 major councils and printed maps to go on posters for a major trade show which will feature the outlets for the clients products, throughout New Zealand. We have a client who produces maps for tourists with Japanese Kanji characters overlaid on the maps to help non English people find their way around tourist areas. We supplied the maps with street name labels, but all other labels were removed. 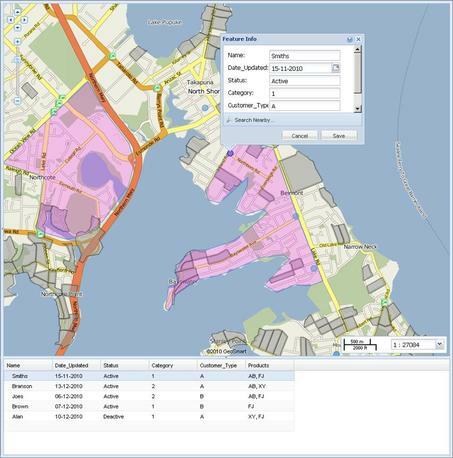 We are able to provide customised maps of all of New Zealand, down to specific localities and we can swtich on and off a wide range of features. You can even have purple parks and green water if it suits your purposes. We have our own plotters so can also print to demand. We also do map books and travel atlas products for major brands in New Zealand and can produce custom books or products. So if you want a custom printed map to hang on your wall, a map book as a corporate gift, a digital map image in PDF, EPS, TIF, JPG or other format or any other form of cartography, give us a call or email info@geosmart.co.nz.